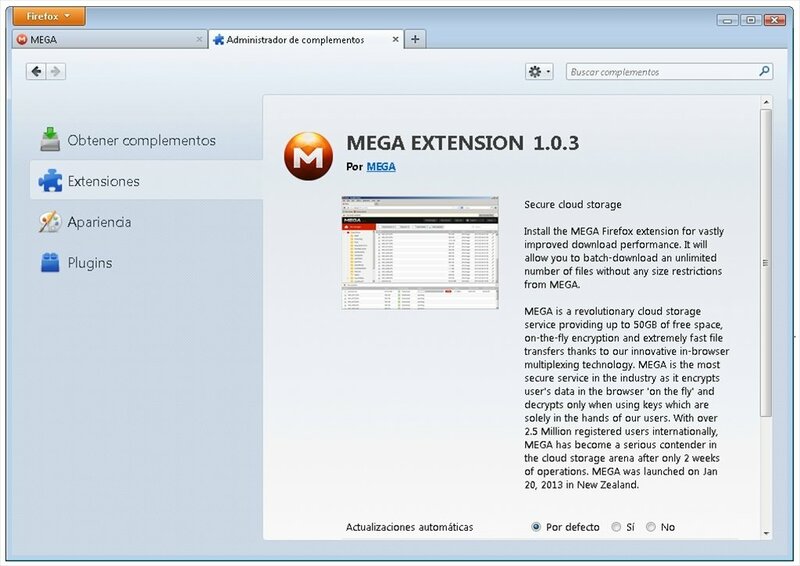 MEGA extension is an add-on for Firefox, created and developed by the team in charge of Mega, which manages to improve the performance of the downloads from the platform using Mozilla's browser. Download a batch of as many files as you want from the platform. Avoid size restrictions when it comes to downloading your files. 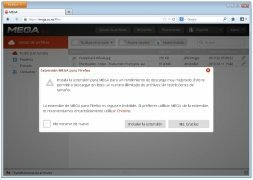 Improve the performance of your downloads. Once you have installed the add-on, you can completely forget about it. It is an invisible tool that works in the background. There are no possible configuration options. To try out its functioning, simply punch in your Mega user account and download a few files. You'll notice faster downloads, presence of notifications and shortcuts to the containing folder. 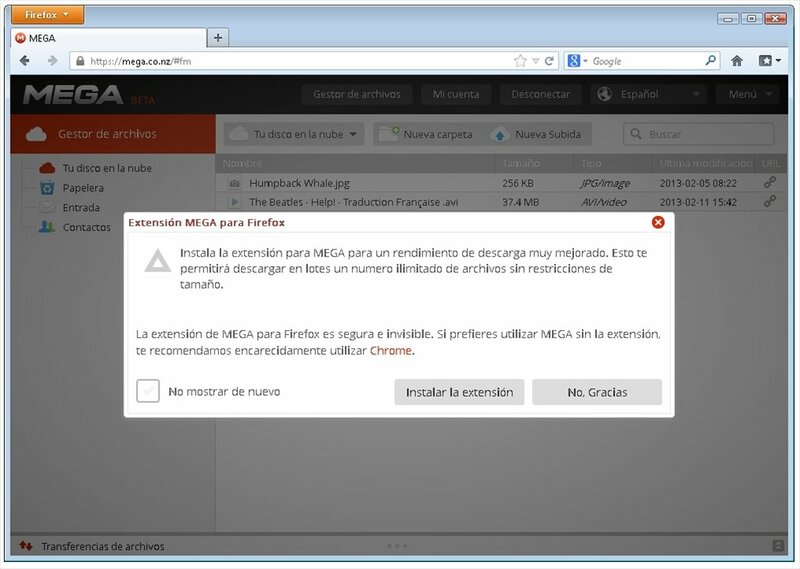 Download MEGA extension for free and optimise the performance of the Mega storage service on Firefox.